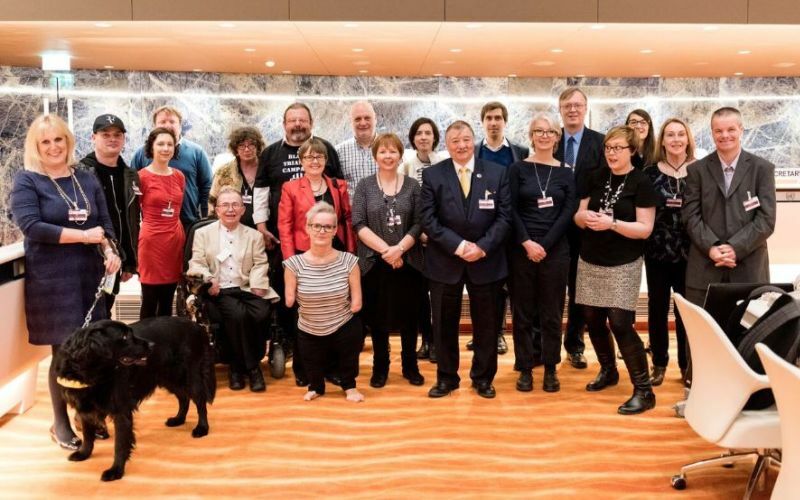 Disabled people’s organisations (DPOs) have come together to tell a UN committee the different ways in which the UK government has been breaching the UN Convention on the Rights of Persons with Disabilities (UNCRPD). The meeting in Geneva took place just four months after the UN’s committee on the rights of persons with disabilities (CRPD) found the UK had committed “grave or systematic” breaches of the convention, following an inquiry – the first of its kind since the treaty came into force in 2008 – into the government’s social security reforms. Now the committee is examining the UK’s record in implementing the convention as a whole. On Monday, CRPD took evidence from grassroots user-led organisations and other DPOs, as well as the UK’s national equality and human rights bodies, including the Equality and Human Rights Commission (EHRC), as part of a process that will see the UK government examined on its record in public in August. The committee will use this week’s evidence to help it produce a “list of issues” on which it needs further information from the UK government. That list is set to be published later this month. The government will then have three months to consult and respond on these issues, before it is examined in public in Geneva in August. A final report from the committee will follow later this year. Among those giving evidence to the committee this week – in a closed, private session – were Disabled People Against Cuts (DPAC), Disability Rights UK (DR UK), Inclusion London, The Alliance for Inclusive Education (ALLFIE), Black Triangle, Disability Wales, Inclusion Scotland, Spectrum Centre for Independent Living, the British Deaf Association, Equal Lives, Disability Action (from Northern Ireland), People First Scotland and Black Mental Health UK. DR UK, Disability Action, Inclusion Scotland and Disability Wales have already produced a shadow report on the UK’s progress in implementing the UN convention – with EHRC funding – while DPAC, ALLFIE, Inclusion London and Equal Lives have produced their own report under the Reclaiming Our Futures Alliance (ROFA) umbrella. But both groups came together to deliver a joint presentation in a three-hour session on Monday afternoon, with each DPO concentrating on different areas where they believed the UK had failed to implement the convention, with concerns raised on nearly every article of the treaty. Tracey Lazard, Inclusion London’s chief executive, said that Inclusion London, as part of ROFA, had been “very pleased” to work alongside the other organisations to “put forward a very powerful combined body of evidence on the retrogression of our rights under the UNCRPD”. She said that Inclusion London and ROFA were now looking forward to continuing that joint work as the CRPD process continues over the next few months. Liz Sayce, DR UK’s chief executive, said: “It was great to have the opportunity to put disabled people’s experiences directly to the United Nations committee in Geneva. “What worked so well was that many of us going over to Geneva met and held teleconferences to prepare together beforehand; and we planned together in Geneva as well. “We unanimously agreed on the top issues to present; and we collaborated on how to present them, with one organisation leading on a particular issue, but others being nominated to answer questions from the committee on that topic. Tara Flood, ALLFIE’s director, said: “It did go well. It was very well organised and it felt like a very positive three hours. “ROFA’s report came from a grassroots voice and our intervention strengthened the UK delegation overall. And she said there were still opportunities for the DPOs to engage and share more information with the committee to ensure it was “ready to go for August”. Anita Bellows, a member of the DPAC steering group, also welcomed the “professionalism” and quality of their presentations delivered by all of the DPOs that gave evidence in Geneva. Rhian Davies, chief executive of Disability Wales, said the committee was looking to see whether the situation had improved since the UK submitted its first progress report to CRPD in 2011. In some cases there had been a “lack of progress” and in other areas affected by austerity there had been “regression in people’s rights”, she said. Davies said she had been able to refer to specific examples from Wales both during her presentation and during the question and answer sessions. She said the DPOs had been helped in the lead-up to the session by advice from Diane Kingston, a former member of the committee, and in Geneva by the International Disability Alliance and the European Disability Forum. She said: “I found it a great privilege to be there and to represent disabled people in Wales. “It’s an opportunity to hold the UK government to account and that is what the focus needs to be on. “We were clear about what we think the issues were. We feel that in Britain policy around disabled people is regressive and I think we got that message across really clearly. “The fact that we did present such a united front and gave such a clear direction on what the key issues were… I hope that that will have influenced them. John McArdle, co-founder of Scottish-based Black Triangle, said the presentations by DPOs had been “well-rehearsed and coordinated”. He said that the different DPOs had worked together “in harmony” and had produced an “extremely successful presentation”. 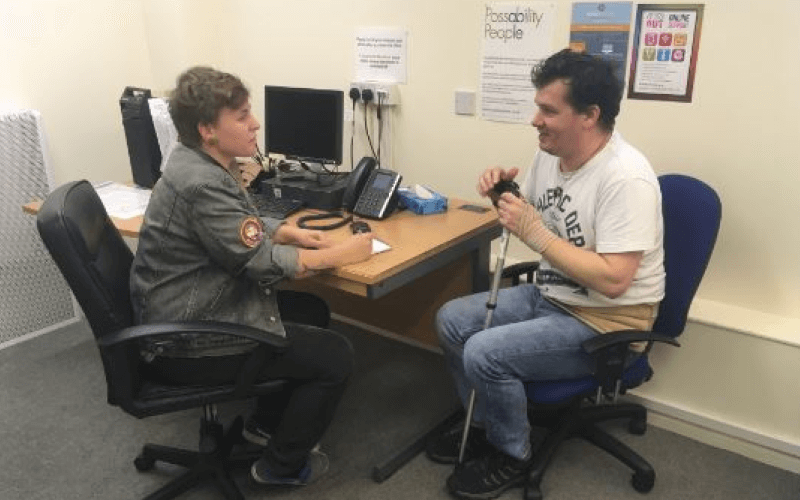 He said: “We are delighted that the UN is listening to the voices of disabled people and DPOs, and we are extremely confident that all of our points will be taken into account. “It was good that DPOs were able to give evidence with the established organisations like DR UK in a constructive and meaningful way. Dr Sally Witcher, chief executive of Inclusion Scotland, said it had been “a genuine privilege to have the opportunity to put the concerns of disabled people in Scotland” to the committee. She said: “We have been very encouraged by the effective collaboration of a substantial number of disabled people’s organisations from throughout the UK. “In Geneva, and before, the UK delegation worked together with unity and purpose, and the session with the [CRPD] reflected this. Meanwhile, Disability Wales has also launched its shadow report on how the UN convention has been implemented in Wales, with key messages on independent living, the need for infrastructure projects to be “fully inclusive”, and the barriers disabled people face in accessing justice.